A previous article called impeaching him a national imperative. Do it now. Do it before it’s too late. He’s already guilty of multiple high crimes of war, against humanity and genocide. He plans much more ahead. He intends lawless aggression against Syria. He risks regional war. He’s menacing humanity. He risks WW III. He cares only about advancing America’s imperium. Mass killing and destruction are small prices to pay. So is risking humanity’s annihilation. Francis Boyle wants him impeached. He urged doing so when Congress returns on September 9. Last December, Boyle spoke at the Puerto Rican Summit Conference on Human Rights. US militarism threatens WW III, he said. A century after earlier imperial aggressions, “neoconservative Republican Bush Junior administration and the neoliberal Democratic Obama administration are now threatening” global war, he said. The Nuremberg Charter, Judgment, and Principles, other international laws, and US Army Field Manual (FM) 27-10 define them. US citizens are constitutionally empowered to resist, he explained. They’re entitled to challenge their own government. Fundamental rule of law principles are inviolable. They apply to everyone. Presidents, other top officials, and military commanders aren’t excluded. Obama can’t be allowed to commit more egregious crimes. Impeaching, removing, and indicting him is essential. The alternative risks potential annihilation. Obama exceeds the worst of his predecessors. He’s guilty of repeated high crimes. They’re too grave to permit. They can’t be allowed to go unpunished. 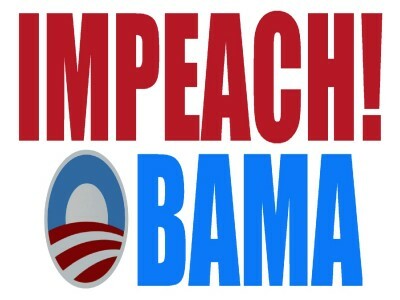 “Impeaching Barack Hussein Obama, President of the United States, for high crimes and misdemeanors. Articles of impeachment exhibited by the House of Representatives of the United States of America in the name of itself and of all of the people of the United States of America, against Barack Obama, President of the United States of America, in maintenance and support of its impeachment against him for high crimes and misdemeanors. In the conduct of the office of President of the United States, Barack Hussein Obama, in violation of his constitutional oath faithfully to execute the office of President of the United States and, to the best of his ability, preserve, protect, and defend the Constitution of the United States, and in violation of his constitutional duty to take care that the laws be faithfully executed, has attempted to impose a police state and a military dictatorship upon the people and Republic of the United States of America by means of ‘a long Train of Abuses and Usurpations’ against the Constitution since January 20, 2009. This subversive conduct includes but is not limited to suspending the constitutional Writ of Habeas Corpus; imposing sweeping police state powers; reauthorizing the totalitarian USA Patriot Act; the mass-round-up and incarceration of foreigners; kangaroo courts; waging war on freedom; appointing himself judge, jury and executioner; interfering with the constitutional right of defendants in criminal cases to lawyers; violating and subverting the Posse Comitatus Act; authorizing unconstitutional spying; unlawful and unreasonable searches and seizures; violating the First Amendment rights of the free exercise of religion, freedom of speech, peaceable assembly, and to petition the government for redress of grievances; packing the federal judiciary with hand-picked right-wing judges, and undermining the judicial independence of the Constitution’s Article III federal court system; violating the Third and Fourth Geneva Conventions and the US War Crimes Act; violating the International Covenant on Civil and Political Rights and the International Convention on the Elimination of All Forms of Racial Discrimination; violating the Vienna Convention on Consular Relations, the Convention against Torture, and the Universal Declaration of Human Rights; and waging war on humanity. In all of this, Barack Hussein Obama has acted in a manner contrary to his trust as President and subversive of constitutional government, to the great prejudice of the cause of law and justice and to the manifest injury of the people of the United States. Wherefore Barack Hussein Obama, by such conduct, warrants impeachment and trial, and removal from office. In the conduct of the office of President of the United States, Barack Hussein Obama, in violation of his constitutional oath faithfully to execute the office of President of the United States and, to the best of his ability, preserve, protect, and defend the Constitution of the United States, and in violation of his constitutional duty to take care that the laws be faithfully executed, has violated the Equal Protection Clause of the Constitution. US soldiers in the Middle East are overwhelmingly poor White, Black, and Latino and their military service is based on the coercion of a system that has denied viable economic opportunities to these classes of citizens. Under the Constitution, all classes of citizens are guaranteed equal protection of the laws, and calling on the poor and minorities to fight a war for oil to preserve the lifestyles of the wealthy power elite of this country is a denial of the rights of these soldiers. In the conduct of the office of President of the United States, Barack Hussein Obama, in violation of his constitutional oath faithfully to execute the office of President of the United States and, to the best of his ability, preserve, protect, and defend the Constitution of the United States, and in violation of his constitutional duty to take care that the laws be faithfully executed, has violated the US Constitution, federal law, and the United Nations Charter by bribing, intimidating and threatening others, including the members of the United Nations Security Council, to support belligerent acts against Iraq, Afghanistan, Libya, Palestine, Syria and other nations. In the conduct of the office of President of the United States, Barack Hussein Obama, in violation of his constitutional oath faithfully to execute the office of President of the United States and, to the best of his ability, preserve, protect, and defend the Constitution of the United States, and in violation of his constitutional duty to take care that the laws be faithfully executed, has prepared, planned, and conspired to engage in a massive war and catastrophic aggression against Iraq, Afghanistan, Libya, Palestine, Syria, and other nations by employing methods of mass destruction that will result in the killing of hundreds of thousands of civilians, many of whom will be children. This planning includes the threatened use of nuclear weapons, and the use of such indiscriminate weapons and massive killings by aerial bombardment, or otherwise, of civilians, violates the Hague Regulations on land warfare, the rules of customary international law set forth in the Hague Rules of Air Warfare, the Four Geneva Conventions of 1949 and Protocol I thereto, the Nuremberg Charter, Judgment, and Principles, the Genocide Convention, the Universal Declaration of Human Rights, and US Army Field Manual 27-10 (1956). In the conduct of the office of President of the United States, Barack Hussein Obama, in violation of his constitutional oath faithfully to execute the office of President of the United States and, to the best of his ability, preserve, protect, and defend the Constitution of the United States, and in violation of his constitutional duty to take care that the laws be faithfully executed, has committed the United States to acts of war without congressional consent and contrary to the United Nations Charter and international law. The President has not received a formal Declaration of War by Congress, and in contravention of the written word, the spirit, and the intent of the US Constitution wages wars regardless of the views of the American people. In failing to seek and obtain a formal Declaration of War and violating UN Charter provisions, Barack Hussein Obama has acted in a manner contrary to his trust as President and subversive of constitutional government, to the great prejudice of the cause of law and justice and to the manifest injury of the people of the United States. In the conduct of the office of President of the United States, Barack Hussein Obama, in violation of his constitutional oath faithfully to execute the office of President of the United States and, to the best of his ability, preserve, protect, and defend the Constitution of the United States, and in violation of his constitutional duty to take care that the laws be faithfully executed, has planned, prepared, and conspired to commit crimes against the peace by waging aggressive wars against Iraq, Afghanistan, Libya, Palestine, Syria, and other nations in violation of Article 2(4) of the United Nations Charter, the Nuremberg Charter, Judgment, and Principles, the Kellogg-Brand Pact, US Army Field Manual 27-10 (1956), numerous other international treaties and agreements, and the Constitution of the United States. Congress is obligated to exercise its authority to do so! “To those leaders around the globe who seek to sow conflict, or blame their society’s ills on the West – know that your people will judge you on what you can build, not what you destroy. Obama promised hope and change. He delivered imperial wars, police state ruthlessness and betrayal. Impeaching, removing and indicting him for high crimes is a national imperative. Emergency conditions exist. It’s essential to do it now!